DigiFit 1.0 is a new fitness bracelet by The TOD Idea Ltd. We are out to stick our foot into the digital health solution business by harness the power of technology to help people achieve their health and physical fitness objectives. 1- Greater Team spirit and Competition among work or fitness groups. Some employers actively use DigiFits to encourage greater workplace team fitness. Getting healthy is far easier when working toward similar goals with like-minded friends and colleagues. 2- Raising the bar ! We all recognise the vital importance of consistently increasing our fitness challenges. With greater challenge come greater health and fitness. The easiest way to keep track of your progress and raise the bar lies in the tracking capabilities of your fitness device. DigiFit effortlessly records and gauges physical activity and shows your strengths and weaknesses. By examining your records and progress level, you can best learn how to increase your fitness challenges and stay driven. When you reach these new goals, DigiFit displays your fitness milestones and allows you to see your overall progress over specific time ranges. By using your DigiFit, you can easily set manageable goals that prevent you from becoming overwhelmed or stagnant on the journey toward your fitness goals. 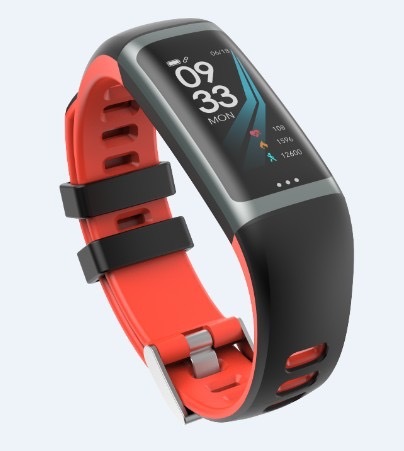 Those with heart conditions and other serious medical issues should strongly consider using DigiFit bracelets, not only for health improvements but also as a medical warning device. DigiFits come with safety tools such as sleep monitors, heart rate monitors, and blood pressure trackers. People with medical concerns that require their heart or blood pressure to remain within specific ranges benefit from the devices’ easy tracking capabilities. DigiFit prevents dangerous heart rates and other concerns from sneaking up and posing health risks. For some, this simple tech tool can very well save their life. Accountability or the lack of it can be a major challenge in trying to reach one’s fitness goals. Getting in shape is often a solo objective, and many feel as if no one knows or cares about their progress. It’s easy to push aside your fitness routine or choose to forget about your health responsibilities. However, DigiFit comes with personalized reminders and other accountability tools designed to keep your health goals at the forefront of your attention. It’s far more difficult to put off your fitness schedule when you’re consistently given firm reminders of its importance. 5. Getting your Mojo back ! Approximately 50% of those who begin a fitness program will drop it within 6 months. However, when it comes to motivation and inner drive, DigiFits offer the best hope of staying motivated up and ready to work towards your fitness dreams. 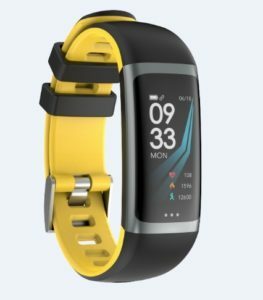 Research states that fitness tracking devices encourage a significant increase in fitness and physical activities for their wearers. Rather than feeling like a chore or drudgery, DigiFit allows your fitness routine to feel more like a game or fun activity. Progress trackers within the device easily reveal your progress and show growing levels of endurance and challenge. These tools help you stay motivated about your progress even when the results don’t feel obvious. 4- Built-in 70mAh polymer battery, standby 7-10 days, Active use 4 days, charge 60 minutes.